*Affiliate links below. It doesn’t cost you anything to click over (or buy!) to see what I love or where I bought it. I do get a small commission if you decide to buy. Thanks for supporting me and this blog. Click to read my disclosure policy. First off, let me say that there are tons of amazing, well-curated stores that sell vintage rugs. Lots and lots of terrific small shops have an amazingly well-curarted selection. Major props to them for that. 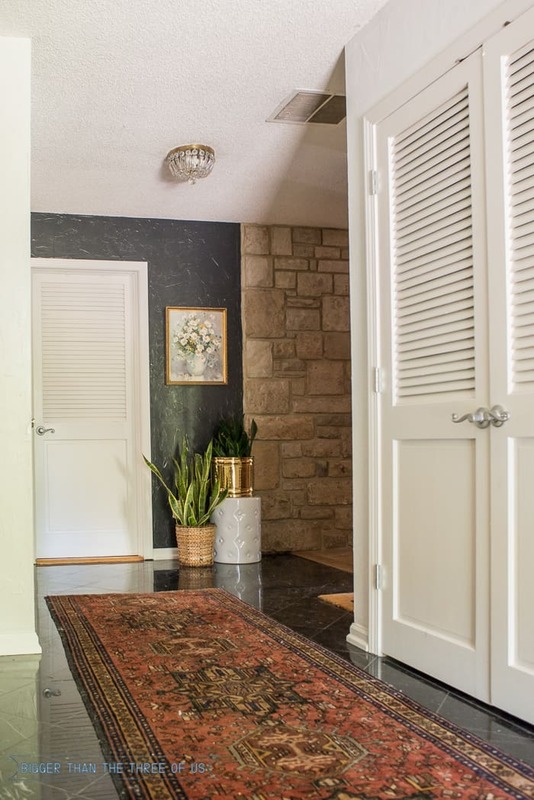 Here’s my deal, I love what I love but I can’t afford rugs (which are already expensive) that are marked-up because of the curation and time to have them cleaned, etc. Most of the smaller stores will have the rugs cleaned before they sell them. They are vintage, so this is a huge perk. 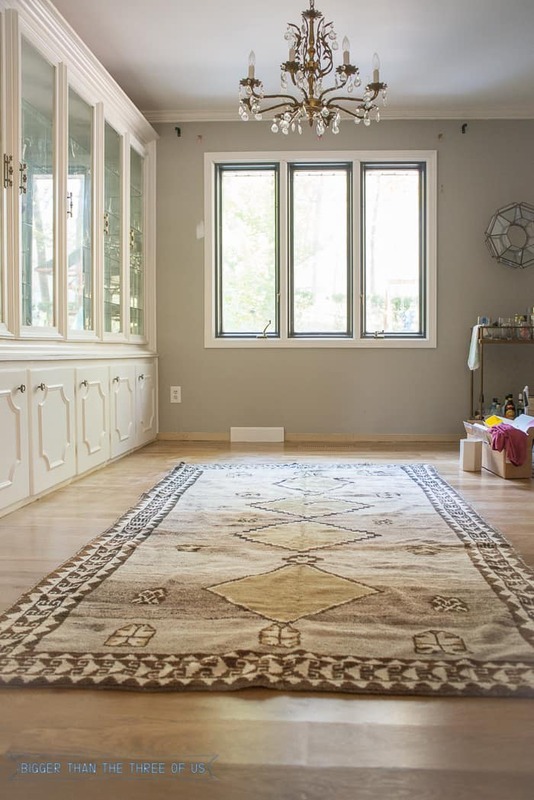 I’m going to list a few of my favorite rugs at the bottom and some will be at a bit higher price-range. 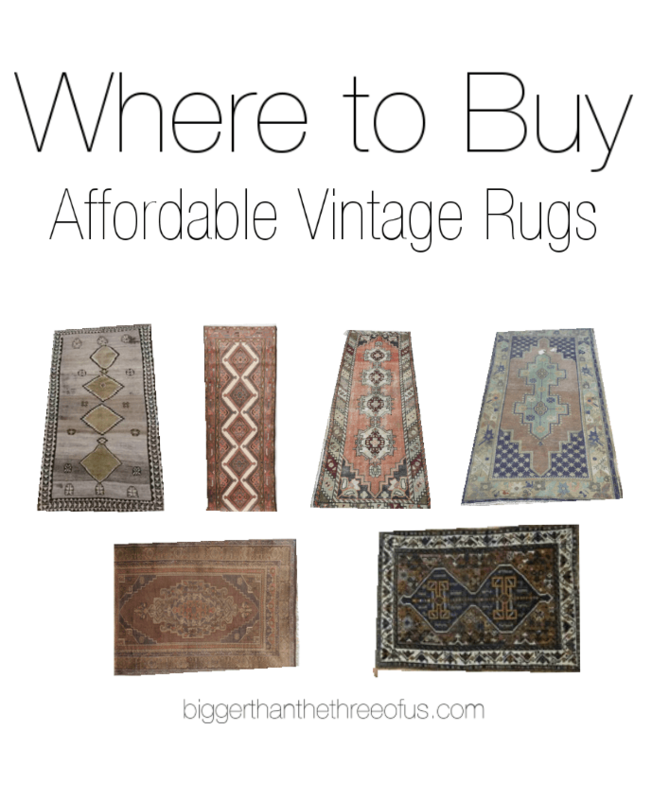 Ready to get to my list of Where to Buy Affordable Vintage Rugs? My #1 go to is rugemporium240 on eBay. This store starts almost all of their listings at .99. The selection is amazing and depending on what size/color, you can walk away with an amazing rug for super cheap! My next go-to is qualityforless$$2004 and is another eBay store. I got the rug above from there and really love it. My next find is a more recent find. While searching for the dining room rug, I came across rug source (another eBay store). This store isn’t as affordable as the first two, YET you can find good deals. I sort by price at stores that have things definitely out of my budget. I find that helps keep me in line. I bought the above rug from them as well as one that hasn’t arrived for our kitchen reveal (yep! It’s coming next week!!!!). My next source is a small shop (Homestead Seattle) and it’s a bit higher than the last three. It’s extremely well-curated and, although higher, I do think that they are still affordable. I bought the runner that you see right above from them and seriously love it. If you are in the market for a specific rug and don’t want to wait on one to pop up on ebay. 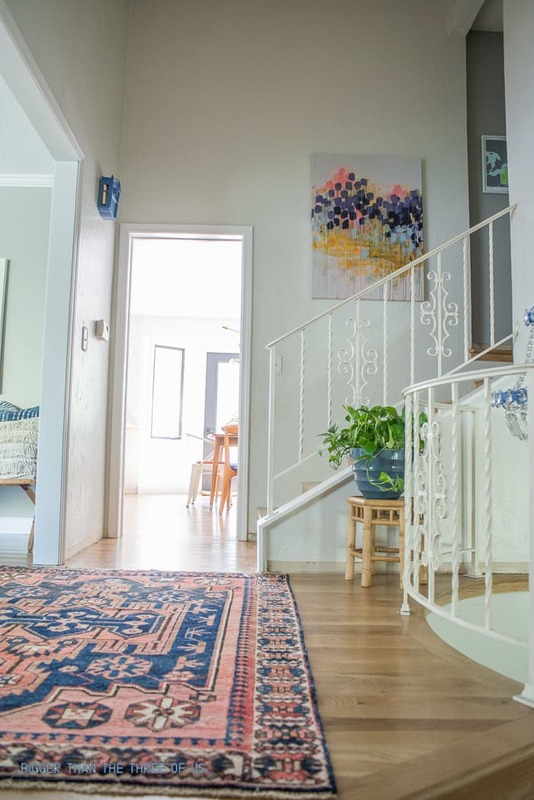 You should check out stores on Etsy (Urban Rug for one is great), lots of great finds on Chairish and more small shops like The Vintage Rug Shop, Woven Abode, etc. *Edited 10/30/17: I’ve gotten so many questions about where to find vintage rugs, that I just wrote another blog post on exactly how I search for them. So, check out Cheap Vintage Rugs for more information! There’s a step-by-step guide for searching eBay and Etsy! 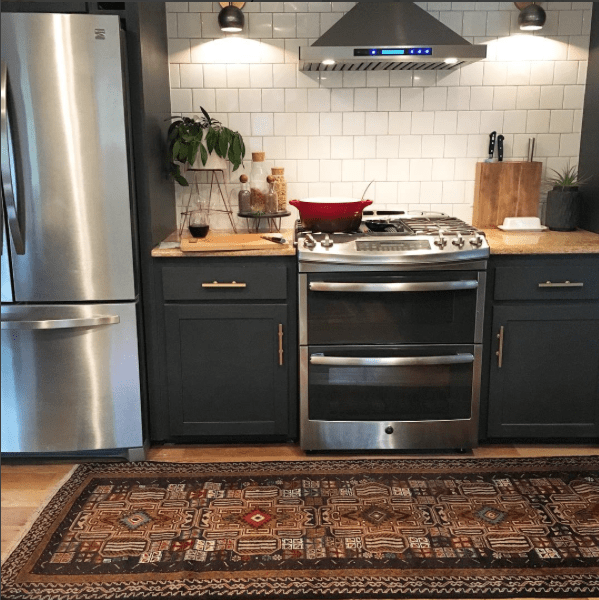 **Edited 04/20/18: Even more details on rug buying and sizing on my newest episode of the Your Home Story podcast! Lastly, if you find an amazing source – please share it! And, if you buy one that you love, tag #currenthomeview on Instagram so that I can see it and possibly share it with my readers! Don’t forget to check out my newest post about rugs. How to Search for Cheap Vintage Rugs!